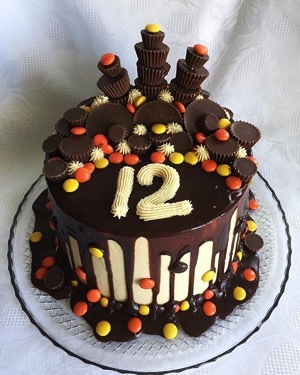 Happy 12th birthday to my blog Awake & Dreaming & a happy 12th Blogaversary to me! I can’t believe that it’s been 12 years already. It was on the 1st of January that I setup this blog in a day with the help of my cousin (over the phone), who guided me through the process and by night I had the thing setup. Then I installed WordPress and started blogging. I then spent many days trying out various themes; I think this one here is the 30th or so theme that I have tried out. This isn’t my first blog though; I first started blogging in 2002, through blogger.com, when I lived in Calicut and continued with it when I moved back to Cochin. I was an inconsistent blogger, nothing having an internet connection at home & from 2003 till 2006, not having a computer at home. By 2005 I started getting more & more into blogging and I created a new one in blogger.com and called it Count Roshculla : Awake & Dreaming. I started spending more time in internet cafes and hence could blog a lot more consistently. But I always wanted my very own website & domain and I wanted to install WordPress. That was achieved on January 1st, 2007. After 12 years I have made quite a bit of money with this blog. I am so proud of what I have done, especially in the last year or so. This blog is a big part of me and I want to continue through for several more years to come.